Daljeet Kohli of IndiaNivesh is an old fashioned stock picker who steers clear of new-age stocks. Instead, he likes “boring” stocks that are well managed and have a steady growth trajectory. Such stocks are usually quoting at low valuations and must be bought on the eve of a re-rating to make maximum profits says Daljeet Kohli, the wily stock picker. 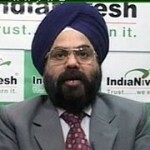 Daljeet Kohli showed incredible perceptiveness when he chose Alembic Pharma as his stock pick in June 2012. At that time, Alembic Pharma was regarded as a small time player in the pharma sector with low margins and was largely ignored by the market. It was languishing at Rs. 49. Daljeet Kohli recognized that though Alembic Pharma had the same business model as its’ peers Ajanta Pharma. IPCA Labs and Indoco Remedies and a similar Return on Equity (ROE) in line with peers (22-23%), it was being de-rated owing to its’ low EBITDA margins. Then, the only question that Daljeet Kohli had to ask was whether there was any scope for Alembic Pharma for improving its margins. A little bit of digging around showed that the prime reason for the low margins was the power, real estate & loss making Pen G business. However, Alembic had already demerged these businesses from its pharma business in 2010, which the market hadn’t taken note of. After that it was a simple equation for Daljeet Kohli. He noticed that APL is expanding its formulation manufacturing capacities by investing Rs 1 billion in FY13E to expand the Panelav (Gujrat) facility to annual 5 billion tablet/capsule production from current level of 2.6 billion. He also noticed that Alembic Pharma was launching new products for which it had made ANDA applications and that these were high margin products. Alembic had also set up a well equipped R&D centre in Baroda to assist its operations in the USA & Europe regulated markets. On the question of re-rating, Daljeet Kohli looked to Alembic Pharma’s peers for inspiration and saw that Ajanta Pharma’s had expanded from a PE of 4x to PE 8x owing to consistent & robust performance across the markets. The same was true for IPCA. After that there was no looking back for Daljeet Kohli and he sent out a strong buy call with a price target of Rs. 79 in 12 months time. Well, Daljeet Kohli’s only fault was that he underestimated Alembic Pharma’s prospects. Alembic Pharma reported superb Q2 and Q3 results and the market rewarded it by sending it spiraling up to a 52 week high of Rs. 101 on 8th March 2013. When we last checked, Alembic Pharma’s investors were beaming from ear to ear with a 100%+ return in just 9 months thanks to Daljeet Kohli’s brilliant analysis. ← Is Repco Home Finance IPO The New Gruh Finance? how can get top picks of mr.Daljeet kohli..plz let me know..